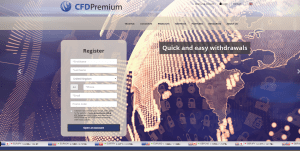 Beware CFDpremium is a Non-Regulated broker. It is NOT SAFE to trade. Is CFDpremium a scam or legit broker? No, it is not safe to trade with CFDpremium. CFDpremium is owned by Silver Wolf Ltd., which is an offshore company registered in the Marshall Islands. The Marshall Islands is notorious for its practically absent requirements and regulations. Due to the setup cost is low and it does not regulate forex trading. Therefore, it became an offshore zone for shady forex brokers such as Dax300, Finbitex and more. CFDpremium is an online Forex broker, focusing on Commodity, Index and Forex trading. The company doesn’t provide any regulation info, only that it’s “safe and regulated”, without any reference to a specific regulatory entity. The company claims to be located in the UK, however, the contact number provided on the website is German. Obviously, the broker is not regulated by the UK’s FCA or German BaFin. In addition, we have previously reviewed companies (FXtrade777, TradeBNP, MarketGBP) affiliated with Silver Wolf Limited that has been warned against by several regulators, which doesn’t look trustworthy at all. 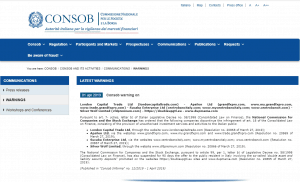 We strongly advise all investors and traders to avoid CFDpremium and other brokers from the Marshall Islands. Traders should trade with well-regulated brokers such as UK brokers or brokers in Australia and reliable brokers such as City Index and Plus500.